Compliment of the season to you all. I am a mobile app developer and I will like to bring you some good news. 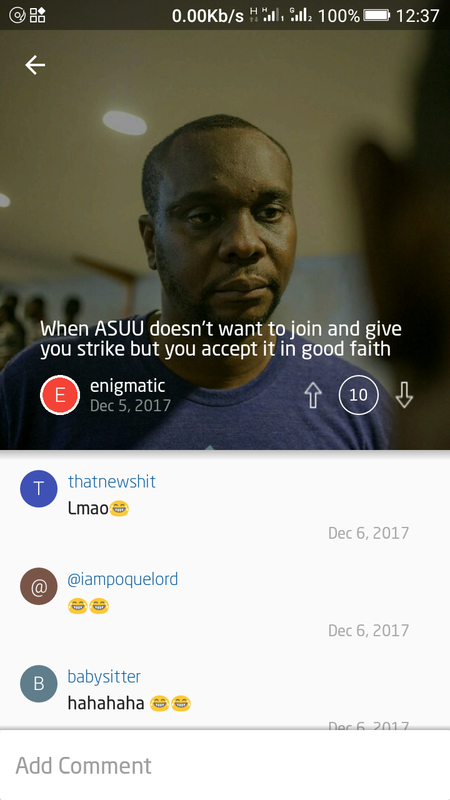 A student of UNN created an android app for communication within the campus. Poke! Let's you communicate with other students from your campus anonymously without exposing your true identity. It is fun and easy to use. Simply download the app from Google play via: https://play.google.com/store/apps/details?id=com.nocturne.fleek to get started. For now, Poke! Supports University of Nigeria, Enugu and University of Mkar, Benue state. If you will love us to add your campus simply comment. Thanks! :( it won't! 4.0+ only.